Providing you the best range of wind mill masts with effective & timely delivery. 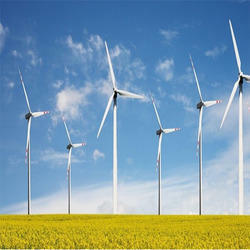 Cryostar delivers Wind turbine mast poles for extraordinary performance and value for wind turbines. We engineer each tower for safety, ease of transport and simple installation and manufacture to the highest quality standards & specifications provided by the client. Quality : The industry’s best designs, materials and manufacturing facilities. Simple Installation: Quick field assembly reduces project cost & time. Custom Design : We engineer to meet the unique needs of each turbine & as per the guided technical specifications. Support: Our experienced team provides technical ground support for better coordination. Value: Low prices paired with uncompromising quality. : Low prices paired with uncompromising quality.